This is part of a series about political issues that garner interest, but maybe too much or for the wrong reasons. Main events occurred today at the Iowa State Capitol in the second week of the first session of the 88th General Assembly. Among them was a meeting of the State Government Committee about IPERS. Good luck with the IPERS hearing today. I believe Iowa Policy Project and Progress Iowa are foolish to continue to hammer away at Republicans about IPERS. 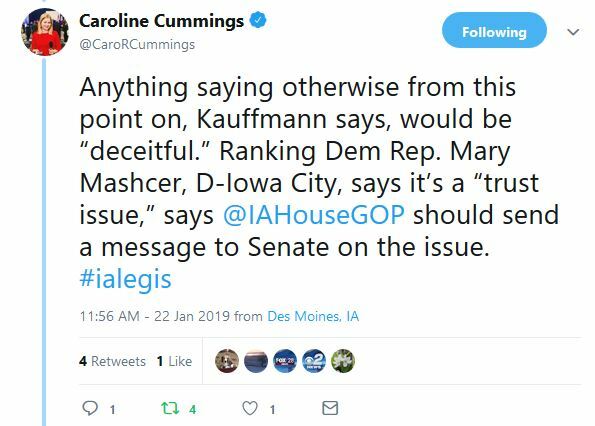 I agree it was problematic a couple of years ago to bring in the Reason Foundation to “evaluate IPERS,” however, the governor and Republican leadership got the message from Iowans not to mess with it. Time to move on. A few hours later, I continue to believe that is true. At the meeting Kaufmann reiterated his Dec. 6, 2018 assertion that under Republican leadership, and as long as he chaired the State Government committee, no changes would be made to IPERS. I’m sure today was meant to be the final word since everyone, including the governor, house speaker and senate majority leader said the same thing. Cut to chase. Messaging the senate is not going to happen. Kaufmann would not have said what he did without Republican leadership support. After the 87th Iowa General Assembly, in which Republicans were noted for last minute bills Democrats barely had time to read before voting, any trust between Democratic and Republican members broke down. As Bobby Kaufmann’s father Jeff told me at the Solon Public Library on Jan. 21 2012, “There is no longer a Daniel Webster moment where people’s minds are changed in floor debates.” The “trust issue” to which Mascher referred is real and not going away. 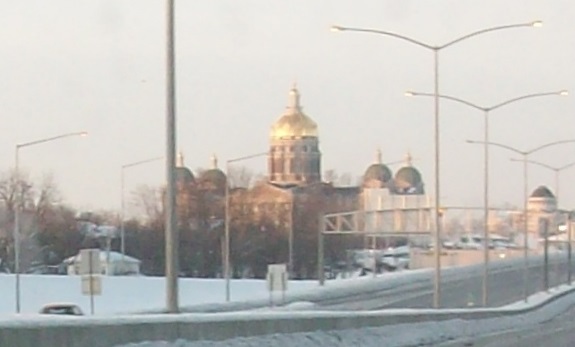 IPERS is an important retirement program for many Iowans. It is right to stand up for it as was done the summer of 2017. However, it seems unlikely to be changed this session and maybe next because of the negative impact change would have on Republican chances in the 2020 general election. At what point do we move on to issues that matter as much or more? When there is no imminent threat to IPERS the posturing, misrepresentation and hyperbole of groups like Progress Iowa seems misdirected. The cliche in politics is follow the money. Who is financially backing them? Why IPERS? The organization’s financial reports would likely provide answers. It is important to watch the progress of IPERS in the legislature. It is simmering on a back burner and the governor said in 2017 she would like to evaluate changing the program to a hybrid with a defined contribution instead of a defined benefit for new members. She said she would protect the defined benefit workers were promised. Wealthy libertarians behind Dark Money in politics are playing a long game. Waiting a couple of years so house members can get re-elected is not an issue. Vigilance is required to make sure the IPERS pot doesn’t boil over unexpectedly. For now, the committee chair who would have to pass a bill has declared, “Not on my watch.” Democrats will be keeping watch. It is time to set this one aside and focus on other, better, equally important things this session.